The latest Prius of the 2016 is a true hybrid car. It is car with a combustion engine and an electric motor that is fuel efficient and burns less fuel than the normal car. Read on the salient features of this car and how it performed in our review. Toyota Prius hybrid is truly hybrid car. On many occasions you may find the tag "hybrid" attached onto the badge of so many cars yet they consume a lot of fuel and are not so efficient. Way back in 1997 when the petrol hybrid Toyota Prius was first launched it seemed too futuristic and really a standout performer. Now after so many years and with almost 3.5 million sales all around the world, we can say that the car has been hugely successful. What the latest one brings is even more good news. Toyota has played smart with this superb car having a very good design and powerful engine with the best-in-class mileage. This car being a modern designed car with its unique design and styling can be an option for you if you happen to be in the 30-40 lakhs bracket. The car comes in 3 shades: Silver metallic, White Pearl Crystal and Abyss Grey Metallic. The fuel efficiency is something you will love about this car. The design has a love or hate it effect. I liked the design but am not that happy with the overall architecture. Had Toyota made it a little sportier it would have done justice to the car. What the car looks like is something between normal sedan design and a sports car. It neither looks like a proper Sedan nor like a good sports car. I know that it is not a sports car but the design doesn't do justice to the car at any cost. Other than that I think other particulars- the specs and the engine power is somewhat good. The Toyota Prius has received a five star safety rating in the Euro NCAP crash test. The testing was studded with the "Toyota Safety Sense" technology, which is able to recognize pedestrians and avoid contact with them. So I can say that there are a lot of safety features on this car. So whatever you get in this price is going to be good and exciting. One of the great things about Toyota cars is the trust and reliability we can put on this Japanese car maker. The engine will always be refined, smooth and reliable. If you trust Toyota like me you need not to worry anything while going for this Toyota Prius Hybrid. In this review I would like to review the car and give you general view about this car from Toyota. I have already said that this kind of design of a sedan is nothing which is like a normal sedan. 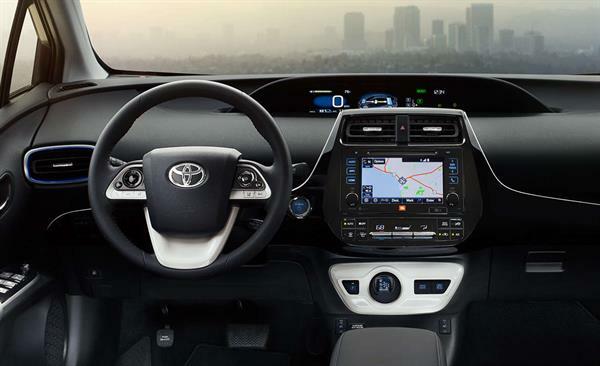 This design of the new Toyota Prius Hybrid is definitely of modern times generating a lot of happiness with its uniquely designed exteriors. I would personally say that it looks a bit like the Jaguar F-type's older brother. The exteriors are crafted with a lot of intent to make it really look unique and peculiar from the other premium cars in this segment. The front bumper, the tyres, wing mirrors, the rear, is all designed well and truly the Prius way. Besides all this the bumper is fitted with an air intake section which helps in cooling the engine quickly. A pair of round shaped fog lamps gives the car a very complete look. The exterior is unique and blended with all the new tweaks and touches a new 21st century car needs. The car is good and I would rate it a 3.9 stars out 5 for its design. The Toyota Prius comes with an engine having a displacement of 1798cc with maximum Torque of 142Nm@4000 rpm and a Horse Power of 97.8bhp@5200rpm. There are currently two variants in the Indian market, both of which are Petrol variants the Z5 and the Z6. There is also an upcoming variant which is not launched yet. Rumors suggest that it too is a petrol variant. 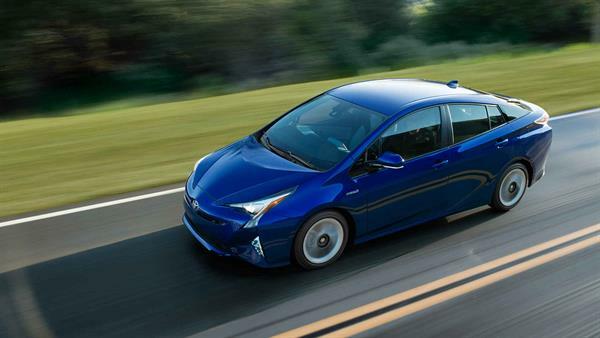 The Prius delivers a top speed of 112kmph with acceleration from 0 to 100 in 12.5 seconds. The engine is 4 cylinder 1.8 liter 97.8bhp 16V 2ZR-FXE petrol engine. The gearbox is a 5 speed one. Mileage or fuel efficiency the way I would like to call it, is the most valuable feature of the car. Here the name Hybrid stands out and delivers a lot. The Z5 petrol gives a superb fuel economy of 20.1 kmpl in city and almost 23.91 on highways which I would say is the best in this segment. We should also take into consideration that the engine power is a little on the lower side but still fetches an outstanding figure of 23.91 kmpl. What more can you ask of from a premium luxury car from a reliable brand like Toyota. The mileage is one of the most striking features of the car. I don't think there is any car from this price category which can give such good fuel efficiency. If you choose this car you are always going to be economical. The Honda City has a standard mileage claim of 25 kmpl and this car with a lot of superior features and a powerful engine provides almost the same fuel efficiency. Hence as I stated earlier this is truly a hybrid car. 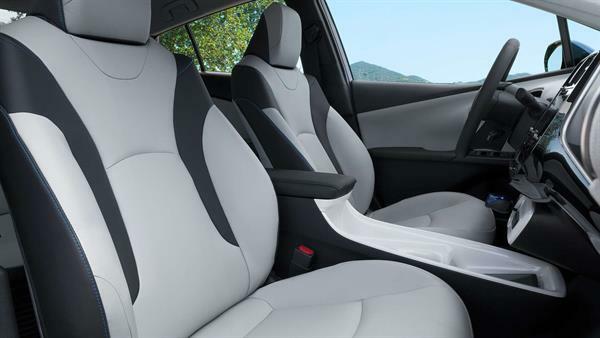 Interiors are designed superbly and give a postmodern feel to the car while you sit inside the amazingly designed cabin. The design is superb, the dashboard and all other interior elements of the car designed with the 22nd Century in mind I suppose. Where the car truly disappoints is the quality of the materials used which looks cheap and really low quality. The plastic found under the dashboard is low quality plastic. I don't know what they have done here. The overall design of the cabin is superb, but the quality of material used really ruins it completely. There are two screens you would find on the dash. The one is for the satellite map settings, climate control and other standard features, whereas the other one is shows the trip meter and the speed. Another really amusing thing in this cockpit is the dated User Interface System, which not only feels of the 20th century but also is clumsy. The rear headroom too is not sufficient and feels a little cramped for tall people. So you would ask me are the interiors so pathetic? No, but they could have been better. The Z5 petrol variant is priced at approximately 38 lacks ex-showroom New Delhi. The car is great value for money if look into fuel efficiency along with all the other features. If you are a person who doesn't value mileage a lot, then I think this car truly is overpriced. I think you can go for other options like BMW, Audi, and Mercedes Benz in the same price category. Powerful engine, good futuristic design, truly hybrid with superb mileage, amazing cockpit design, reliable, excellent safety features. Not so impressive design, low quality plastic in the cabin, not enough headroom in the rear, clumsy and out-dated User Interface System, a bit too overpriced. I would say Toyota should bring in lot of improvements to this one to really to match the quality of its German rivals. Other than that the design can be loved by some or even hated by some. Personally speaking I am not so impressed with the design, but what Toyota does great is the reliability factor, which is definitely great in our country, we just love Toyota cars. Don't we? The annoying factor really for me is the quality of the plastics in the interior, though the design is amazingly superb, the quality of material used lets it down. When you get fantastically made interiors in other brands why should you go for this? One thing is for sure the fuel efficiency is the best-in-class and engine powerful and reliable too. These are some of the areas were Japanese manufacturer really scores. It is not a myth that, the car has been sold in millions since its inception way back in 1997. Since then there has been a lot of Toyota Prius on the roads in the cities around the world. So what is the final word? I think the car is good for people wanting power and mileage at the same time, if you take out some minor problems out, this is a great car to use. Hope this article is useful. Drive safe. God Bless.